In 2010 the Indian authorities threatened to shut down BlackBerry's infrastructure unless it agreed to comply with lawful access requirements providing the government a way to intercept messages in order to prevent terrorist attacks. The long time dispute between the Indian government and BlackBerry over monitoring, tracking and interception is now resolved. Blackberry is ready to provide the Indian authorities with a way to lawful intercept consumers' messages sent and received on its platform including mails and peripherals, chats and browsing history on BlackBerry devices. But BlackBerry Enterprise Server has been left out of the interception solution which means corporate emails won't be under scrutiny. According to an internal document of the Department of Telecommunications (DoT), nine out of 10 telecom networks offering Blackberry services were in the process of making it possible for authorities to carry out intercepts. Blackberry train 5 government officials at its Ontario facility to handle the technical architecture, operation and maintenance of the monitoring facility. Blackberry has issued a statement, "The lawful access capability now available to Blackberry's carrier partners meets the standard required by the government of India for all consumer messaging services offered in the Indian marketplace,"
Next, Apple will now become the focus of the Indian government's attention. 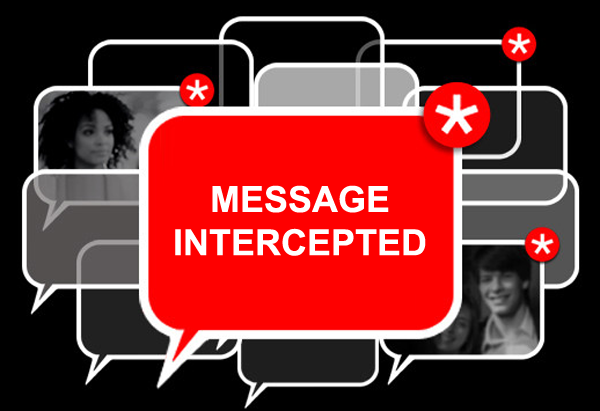 Earlier Apple said that all conversations on its iMessage and Facetime services use end-to-end encryption, so that nobody except the sender and receiver can make sense of them. Indian version of PRISM, surveillance project, called Central monitoring system (CMS) will allow the government to monitor online and telephone data of citizens. But the primary concerns raised by experts is the sheer lack of public information on the project. Unlike America’s PRISM project under which surveillance orders are approved by courts, CMS does not have any judicial oversight. The expanded surveillance, which the government says will help safeguard national security, has alarmed privacy advocates at a time when allegations of massive US digital snooping beyond American shores has set off a global furore.